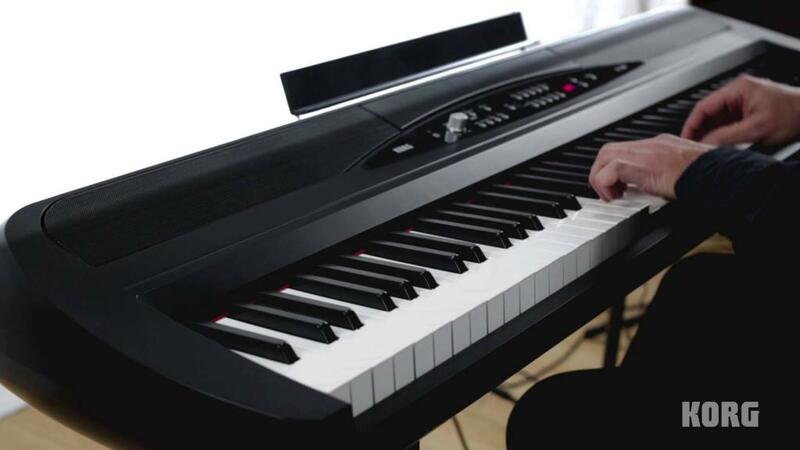 Korg continues to remain one of the best and most dependable piano makers in the industry. And without any iota of doubt you can expect the Korg SP280 to be another statement of quality from this brand. The piano comes nicely designed with an authentic sound, and a really natural feel to it. It can double as both a home piano and a stage piano. And with its high quality piano samples and keys that are so properly constructed, it’s easy to see how this piano so closely resembles an acoustic piano. We had fun researching this instrument and we are sure you’re going to have a lot of fun with us as we go through its major features. We will be heading into the reviews now but just before we head into the full review, we thought we’d do a quick summary for those who can’t spare the time. We know that not everybody would be able to spare the time to read through the comprehensive review. And that’s why we have this section to help you make a fast, less-than-5-minute decision. First of all, we’ll begin with the target customers of the Korg SP280. When you take a look at this instrument, it’s easy to see that this is targeted at players at any skill level pretty much like most Korg pianos. However, we will still recommend this for pro players as they will appreciate the features on this keyboard better. The piano features many rich built-in tones – 30 of them to be precise. So, there’s more than enough to inspire creativity in the player as they make good music. And these beautiful sounds are not compromised either by the stereo speakers. 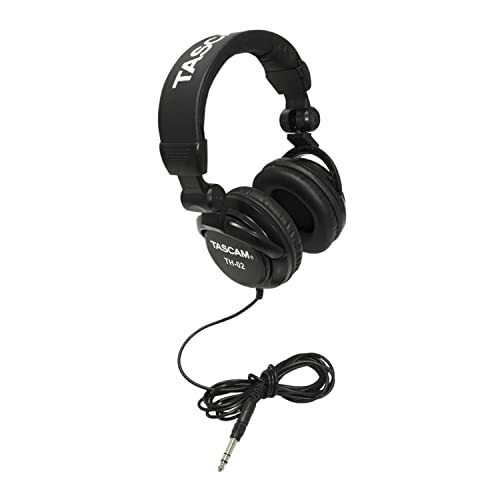 They are both powerful and deliver the sound quite well. Traveling/gigging musicians would love this keyboard too. Well, it isn’t exactly the most portable in the market. But it does take up less space than most thanks to its sleek and streamlined design. Like we said earlier, this would easily work as a stage piano the same way it works as a home piano. There are so many inputs and outputs which allow you to connect with all kinds of equipment. That can literally turn your performance 180 degrees! However, the SP280 still has its limitations. It does not feature a USB connectivity. So, if this is a big deal for you, then you might want to consider something else. Otherwise, this keyboard does not disappoint. The Korg SP280 comes in a pretty interesting size and shape and that’s probably the first thing that would catch your eye. At least, it was the first thing that caught ours. Okay, so what’s so interesting about the shape? Well, have you seen an oval or an ovalish keyboard before? Yeah we thought so too. We haven’t either. But the Korg SP280 actually kinda looks like it comes in an oval shape. The sides come rounded and so does the back. So, it’s kinda intriguing. If you’re that kinda of person you’re sure to be besotted with this keyboard at first glance. It’s a breath of fresh air with the humdrum digital keyboard designs we’re all so used to seeing these days. 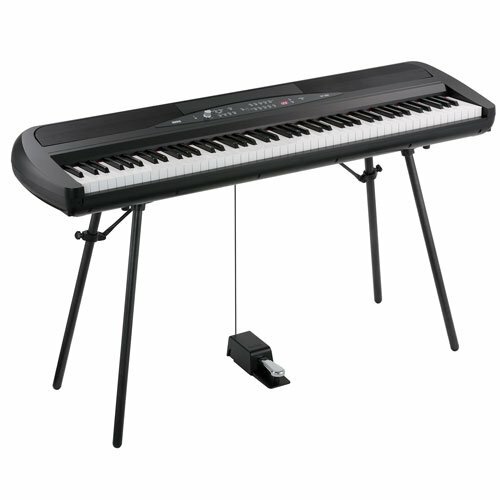 The Korg SP280 is a bit different in dimensions and weight from the portable digital pianos we see from other brands. For instance, it weighs in at about 40 pounds which is a lot higher than what most regular portable keyboards weigh (about 25 pounds). But then again, this is light for a Korg. If you are very familiar with the brand’s keyboards, you know that most of their keyboards enter into the 80 pound range in weight. So, overall, we would say this is fairly lightweight and its shape sorta makes it a bit easier to lug around. The Korg SP280 carries a wide assortment of wonderful sounds that will surely impress you. But of all the 30 sounds available the ones we fell in love with the most were the piano tones of course. The Grand, Concert, Acoustic piano tones sound absolutely amazing. Well, we believe you already know that when it comes to sound, Korg is one of the Kings of the market. And why wouldn’t it be? It obtains its samples from one of the best pianos in the entire planet – a Steinway. If you didn’t know, Steinway pianos are legendary steeped in a rich history that dates as far back as the mid 19th century. So, you can never go wrong using samples from a Steinway for your keyboard or digital piano. The total number of tones on this keyboard adds up to 30. And in there you’ll find 5 acoustic pianos, an electric grand, and 6 electric pianos. So, that makes 12 piano tones, plus other cool instruments like vibraphones, organs, harpsichords, marimbas, and strings. Besides the built-in tones, we will also look into the demo songs on this keyboard. 10 of these songs demo the best piano sounds on this keyboard. And the remaining 20 songs show you the prowess of this keyboard at its highest potential. You can literally just sit back and play the demo songs just for enjoyment. They are actually that good. 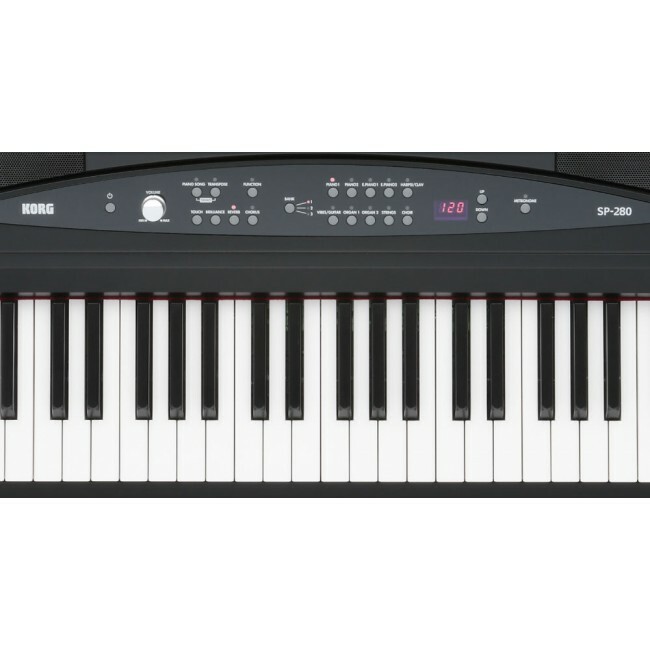 The Korg SP280 comes with a full-length keyboard with 88 full-sized keys. Korg uses its Natural Weighted Hammer (NH) action for the SP280. And we can confidently tell you that this is one of the better actions you can find on any keyboard. 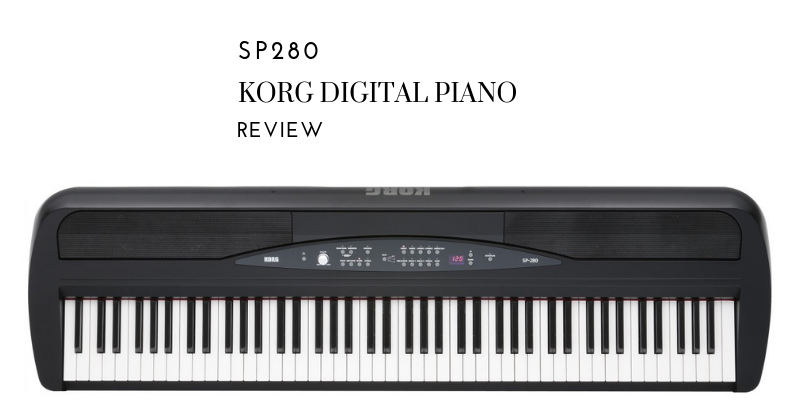 In fact, we are quite surprised that Korg put this action on such an affordable model as the SP280. 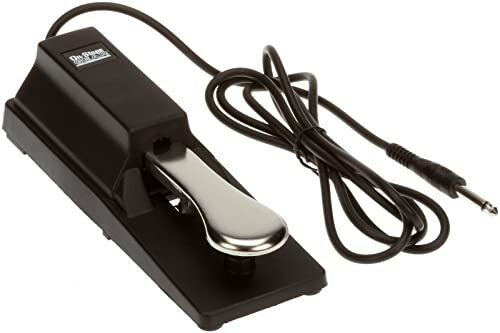 As a point of reference, other keyboards where you can find the Natural Weighted Hammer action include the Krome 88. The Krome 88 is one of the high end workstations in the market also from Korg and it currently sells for over a thousand dollars. So, you can see that it’s a pretty big deal that the SP280 comes with the Natural Weighted Hammer action. Of course, as expected, this keyboard comes with keys that feel excellent. And this is no surprise seeing the brand in question. There’s no plasticky feel and you can just feel the quality construction that went into making this keyboard. Another thing we commend about this keyboard is the sound generating technology it uses. Korg calls it the Korg Stereo Piano system. It’s a high quality sound generator as you’ll easily hear from the sound of the piano. The Korg’s Stereo Piano system layers the sound samples quite nicely and reproduces them very correctly and according to the way you play. The max polyphony also ensures that as you play, you don’t drop any note. It’s a 120-note polyphony which we admit isn’t exactly one of a kind. But it will suffice even when using certain functions like the Split, Layer, and Duet at the same time. The speakers on the Korg SP280 are some of the best you can find. And because it comes with a brilliance setting, it sounds even much better, although it does make the keyboard a bit bulkier to carry. Altogether, the speakers deliver a total of 44 Watts of power. 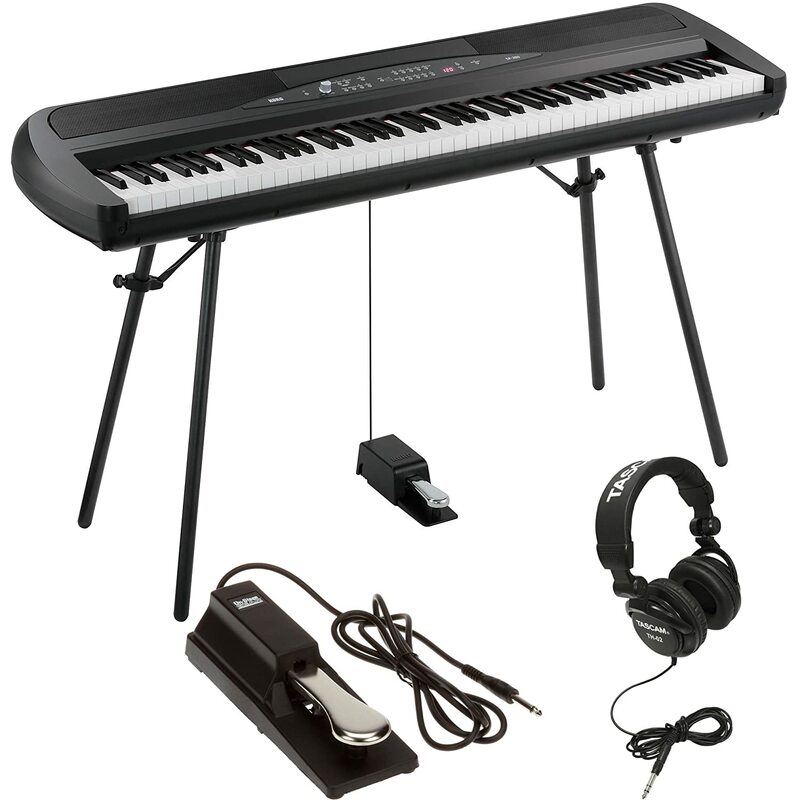 So, even without an amp or a speaker, the keyboard is perfect for practicing in your home. We don’t understand why the Korg SP280 does not come with USB connectivity. Every digital piano should come with that, it’s like in the constitution or something. But then again, it comes with a MIDI connector. So, if USB connectivity is too important to you, then you can get a MIDI to USB converter. Or you could also just get a different keyboard altogether. But then again there are many other inputs and outputs with which you can connect your Korg to other equipment to enhance performance. Sleek and streamlined design takes a smaller footprint. On-board speakers are solid with powerful delivery. Keys come with 3-level touch sensitivity. High quality sounds especially the piano sounds. Easily adjustable sound effects such as Brilliance, Reverb, and Chorus. User interface is very intuitive and easy to navigate. Comes with an LED display. Does not come with a recording function. No Split function on this keyboard. A bit heavier than other models from competitors. 88 fully-weighted keys with Natural Weighted Hammer action (NH). 3-level touch response: Heavy, Light, Normal. 30 Built-in Tones: Electric Piano, Electric Grand, Acoustic Piano, Acoustic Guitar, Marimba, Jazz Organ, Choir, Pipe Organ, Vibraphone, Strings, Harpsichord, Clavichord. Sound Effects: Chorus, Reverb, Brilliance. Functions: Metronome, Transpose, Fine-tuning, Touch, Piano Song, Key Touch Control. 2 Speakers: 16 – 18 centimeters. Connectivity: MIDI (In/Out), Pedal Unit jack, Line In, Line Out (L/MONO, R), headphones jack. Dimensions: 53.6 x 16 x 31 inches. The Korg SP280 shows a very high level of quality that’s rare among keyboards at this price point. It is quite the versatile instrument. And even though this will work for the beginner and professional alike, this might be a lot more suited to a professional player. A limitation that could deter some buyers from betting on the Korg SP280 is its lack of MIDI connectivity. We will admit that this was an oversight on Korg’s part seeing as most modern digital pianos come with USB connectivity these days. But still, this drawback is too little to make this keyboard less than awesome. So, if USB connectivity isn’t a deal breaker for you, we can confidently tell you that the SP280 will make a valuable addition to your collection.